Phew! Can you believe June is just about over? Well fear not, we’ve managed to sneak our recipe for Phoenix Public Market just in time. Keeping with the theme of summer grilling, we created a recipe that combines grilling and stir frying. The result is our Summer Chicken Stir Fry! This recipe is light, fresh, and perfect for summer meal. 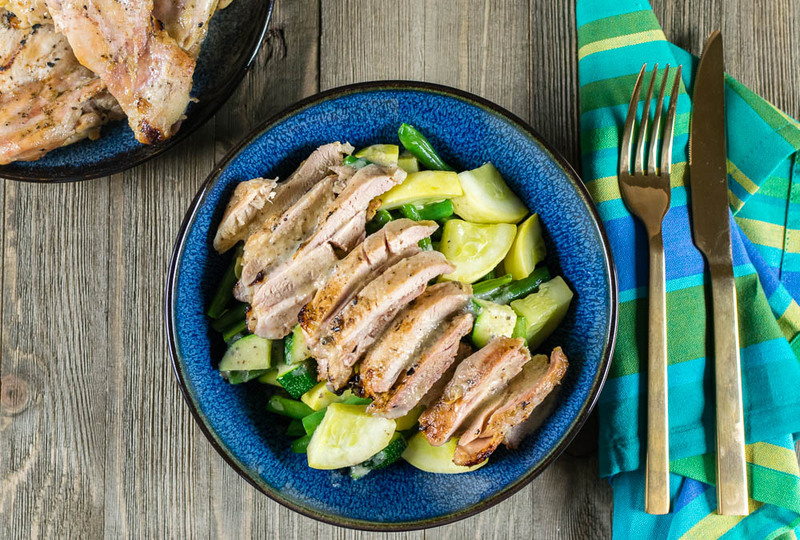 For this month’s recipe we wanted to continue to use summer squash. It is definitely in season, so we figured we might as well make as much use of it as we can. We also discovered Saucy Lips while shopping the market and decided to use their Pineapple Thai sauce. What we found really interesting about Saucy Lips is that they are Paleo, Vegan, Diabetic Friendly, and Gluten/Soy/Dairy/Nut/GMO free. This means that their sauces are great for entertaining large groups of people. 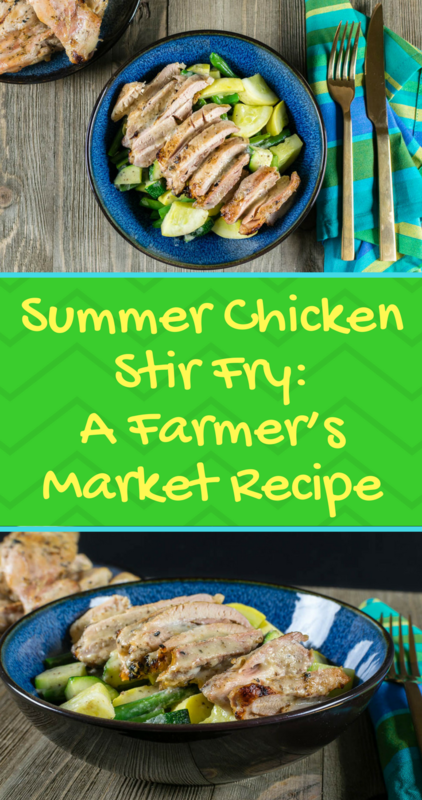 Be sure to visit and check out all of the fun summer goodies at the Market while you are picking up the ingredients for our Summer Chicken Stir Fry. Remember Phoenix Public Market stays open all year! During the summer they have misters and shade as well as earlier hours. This means you can beat the heat and still shop locally! What would you like to see for a July recipe? Leave your requests in the comments below! Marinate chicken with Saucy Lips Sauce overnight. Salt lightly and saute green beans until half done. Add yellow squash and zucchini. Add a bit more salt. Cook until all are tender. Serve chicken sliced on top of cooked vegetables. Drizzle extra Saucy Lips Sauce over the chicken and vegetables if desired. 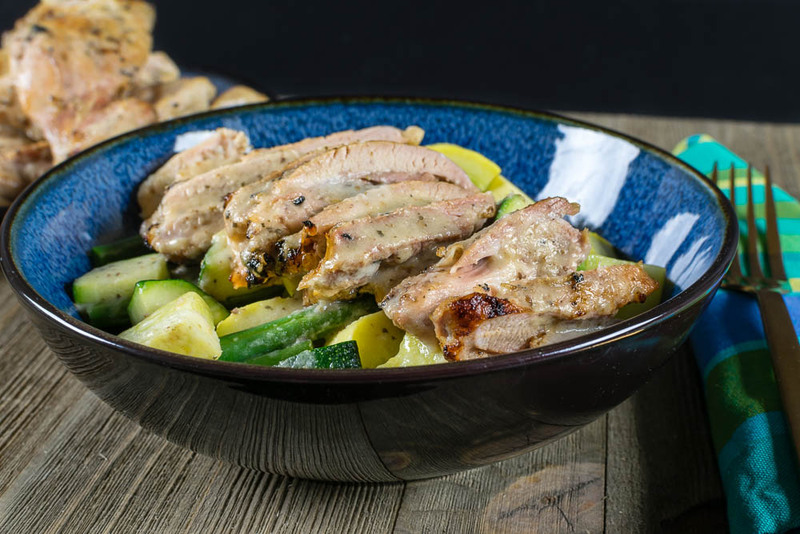 *The Geeks have partnered with Phoenix Public Market for monthly recipes and have received Market Bucks to use towards the ingredients in this recipe. All opinions are wholly our own. View our Disclosure Policy for more info.